hotel is decent ... Hotel was ok, very well located. A bit noisy specially if your room is close to the dining one as the walls are not so well sound-isolated. Otherwise, the staff was very friendly and helpful and facilities and breakfast were all right. 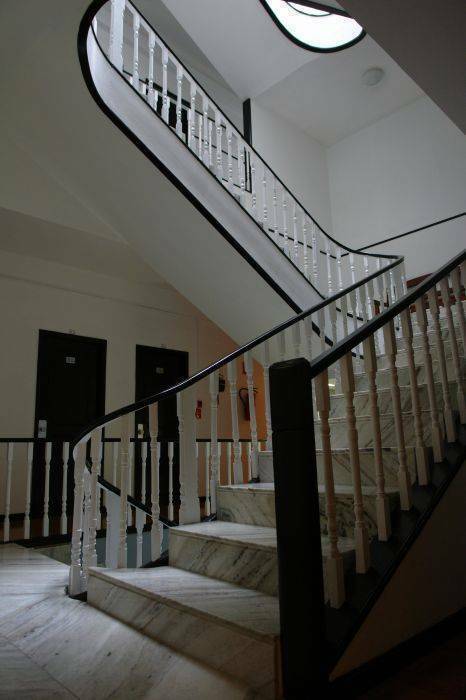 Situated in the elegant Aliados Avenue in the heart of Oporto´s historical centre, “Residencial Universal” is surrounded by some of the city’s most splendid architecture jewels, like the town hall, Trindade church, S. Bento railway station and Clérigos tower. A journey to Oporto must include a tour to Ribeira, the Cathedral, Clérigos Tower and a boat trip along the beautiful Douro River (all reachable on foot in 10 minutes or less). In a privileged location “Residencial Universal” enjoys easy access to all parts of the city, on foot, by bus and also by metro. The railway station is just 2 minutes away and the Metro station to the airport, 5 minutes away (the journey takes about 25 minutes). 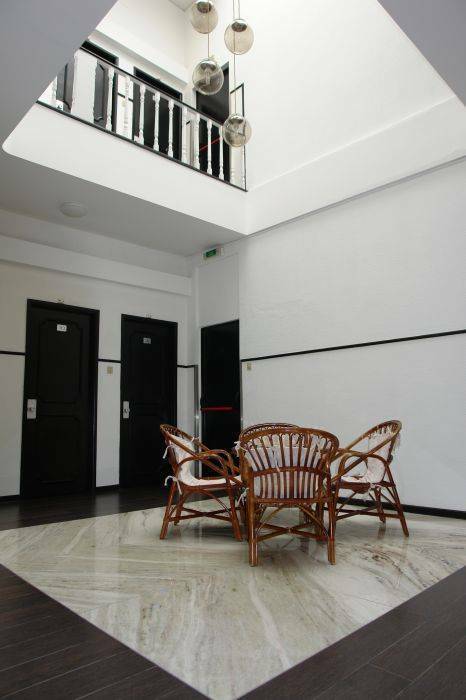 Our hotel also offers a personal service and a pleasant comfortable and welcoming atmosphere. 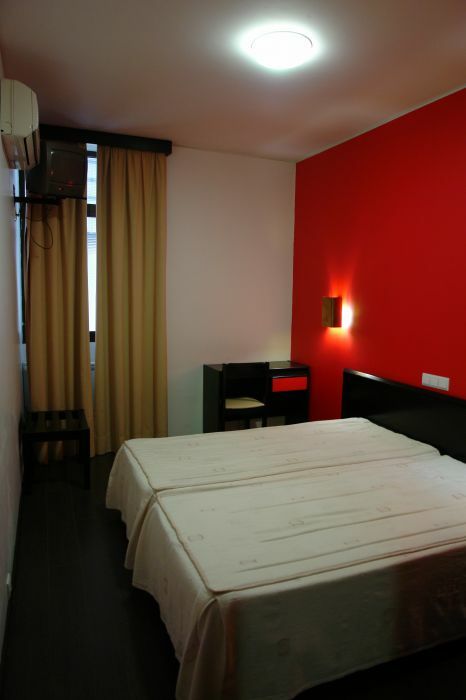 We guarantee the best prices and we’ll help our guests spend a good time in the beautiful city of Oporto! We’ll provide for guided tours, tickets to panoramic bus and boat trips, just ask the receptionist on arrival, or contact us in advance, so we can book it for you. There's complementary wifi internet in all the rooms (limited to one equipment per room, extra equipments charges applies); at the common room next to the reception, we have one computer connected - access cost’s: 1. 60€/hour. There's also a Bar open 24 hours were you can enjoy a glass of Port or a nice fresh beer; and a pool table (costing 7, 50€/1 hour). All our rooms have private bathroom, TV, air-conditioning/heating and breakfast included. Check in is from 12:00 to 20:00. If you need to check in later, please contact us and give us an arrival time, if you don’t arrive within an hour we’ll cancel the reservation. If you planning to arrive sooner, we can storage your luggage at the reception, until the room is available. The Handicap room can feat up to 3 people, it has a 3 single beds. the listed price is for 2 people, a extra person are an extra 15€ (children between 10 and 4 pay 50%, children under 4 is free). 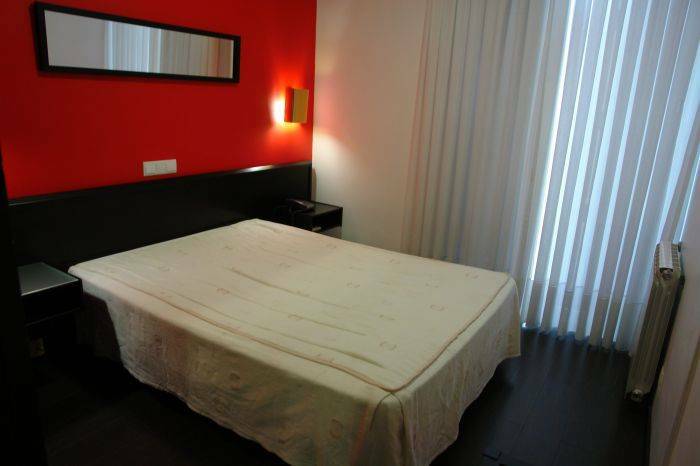 Small Pets are not allow in every room and are on request and pay an extra charge of 9€ per night. Big Pets (>15kg) are not allow in limited number of rooms and are on request and pay an extra charge of 15€ per night. When bringing a pet is mandatory to contact hotel. By metro: Take the E line (violet) from the station across the street of the arrivals of the airport and get out at Trindade Station. Here you can, or change line to the yellow line (underground - direction João de Deus) and get out one stop later (Aliados); or you can come directly on foot from Trindade. At Trindade station get out though the main door (to Trindade church) keep yourself on that sidewalk and start going down (follow the street inclination), you’ll reach Aliados Avenue, just keep going down always in the left side and you’ll find us at number 38; at Aliados Station go up the stairs or lift with Praça D. Joao I direction, just go down the street, you’ll find us at number 38. By bus: Get on bus number 601 or 602, at the stop at the airport arrivals door. Bus 601 takes 40 minutes to reach the city, 602 takes 50 minutes. In either one get out at the last stop: Cordoaria. You’ll find yourself at Praça de Lisboa, a triangular chapped Market, go to either corner of the triangle and follow the street inclination, going down, until you reach Clérigos street, keep going down until you reach a big square (Praça da Liberdade) cross the square to the sidewalk where’s McDonald’s, go up the street a few meters and you’ll find us at number 38. By Taxi: You can take easily a taxi at the airport door; it should be a 20 to 30 minutes ride, costing around 15 to 20 Euros. A taxi can take maximum 4 people. If you coming from Lisbon, Coimbra or Spain, your last stop in Porto is Campanhã station, from here you have 4 ways to reach us: train, bus, metro and taxi. By metro: Get on any metro line direction, except the ones going to Estádio do Dragão, and get out at Trindade station. – SEE From Airpor t- By metro. By bus: Go to the bus stop, in front of the main building of the station, and get bus number 207, direction Foz (Mercado) and get out at Aliados stop, next to the Rivoli theatre. Turn left when you go out of the bus and go until the end of the street, you’ll find yourself at Aliados Avenue, turn left and just follow the street inclination, going down and you’ll find us at number 38. Get out of the station and turn right, cross the street and you’ll find yourself at the door of a church (Congregados), go left, and turn right, and go up the street, you should pass McDonal’s, and a street. You’ll find us a few meters up at number 38. Porto doesn’t have a central bus station, each company of bus has it’s one, the most popular are: Rede Expressos, Internorte (International Buses) and Eurolines. From Rede Expressos: You can take bus number 207 at the door – SEE From Campanhã Station – By Bus; or you can reach us on foot – turn right, cross Batalha square, go down 31 de Janeiro street, pass Sá da Bandeira street and Congregados church, turn right and go up the street, you should pass McDonal’s, and a street. You’ll find us a few meters up at number 38. From Internorte: In the middle of the square there’s a bus stop, there take the 200 (direction Bolhão) or the 207 (direction Campanhã), and get out at Aliados stop, turn left, cross the street at the red light and go up the street, you should pass McDonal’s, and a street. You’ll find us a few meters up at number 38. From Eurolines: Get out of the station, and you’ll find yourself at 24 de Agosto square, cross the street and go down to the metro station, get on any metro line direction, except the ones going to Estádio do Dragão, and get out at Trindade station. – SEE From Airport – By Metro. Or catch bus number 300 (circular) and get out at Aliados stop, cross the street and go down, you’ll find us at number 38. There are too many directions that you can enter the city to specify a rout. We advise to look on "viamichelin" online, it has updated information on the street directions and signs, giving you always the best solution on how to get anywhere. To Park:. The closest parking is on “Joao I” square, underground, it costs 15€ for 24 hours. From our door (on car) you go strait and turn at the second to your right, you’ll find yourself at a bifurcation, turn to the street more to the right, follow the street until it crosses a larger street, go right, right again and enter the tunnel.